In Eason’s engaging debut, young readers can discover interesting facts about the wide variety of animals in the world. The 10 animals considered here, from a chameleon and an ant to an octopus and a whale, are typically ones kids will recognize. 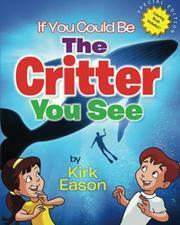 But Eason goes into more depth to provide a science lesson and makes this book work on multiple levels. For instance, in the section about the hummingbird, Eason opens with a photo of the animal and a four-line rhyming poem, then includes a page of several fun facts and closes with an illustration that shows how the animal’s special talent (in this case, the hummingbird’s hovering, or with the frog, having a tongue as long as its body) would look if applied to a human child. The color illustrations are presented in such a way that it’s easy for kids to imagine what would happen if they were as tall as a building, as a whale is. The fun facts aren’t too challenging for kids to grasp, but they’re all compelling—“Hummingbirds are the smallest birds in the world! Some weigh less than a penny,” and “Hummingbirds sip nectar (sugar) from flowers to provide the energy they need to flap their wings so fast.” Following the animals’ introductions, a 10-question quiz asks such questions as “You can step on one by mistake, yet it’s the strongest critter for its size. Who is it?” Also included are coloring pages that match the illustrations found earlier in the book. The book is geared toward kids ages 3 to 7, but the combination of photographs, illustrations and text means that children of all reading levels will find something of value. An accessible, smart book that finds an impressive balance between education and enjoyment.